Legends in Concert begins their season in less than one month! With a lineup that changes frequently, guests will see a variety of their favorite legends in 2019. Audience members will love the talented performers that portray a few of these famous legends. Along with the amazing tribute artists, you’ll see outstanding choreography performed from numerous dancers. It’s a non-stop music party from the start of the show until the end. The winter line-up will begin February 1st and will go through April 30th. Guests will have the opportunity to see legends such as: Kenny Chesney, the Blues Brothers, Bruno Mars, Aretha Franklin, and Elvis Presley. Local favorite, Todd Bradshaw, is back this year portraying Kenny Chesney. Guests have seen Todd perform at the Grand Jubilee, Branson’s Famous Baldknobbers, and is once again at Legends in Concert! 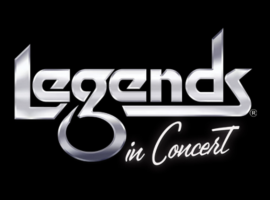 Be sure to check out this lineup for Legends in Concert and stay tuned to see which legends will take the stage next! For more information and to purchase tickets click HERE.